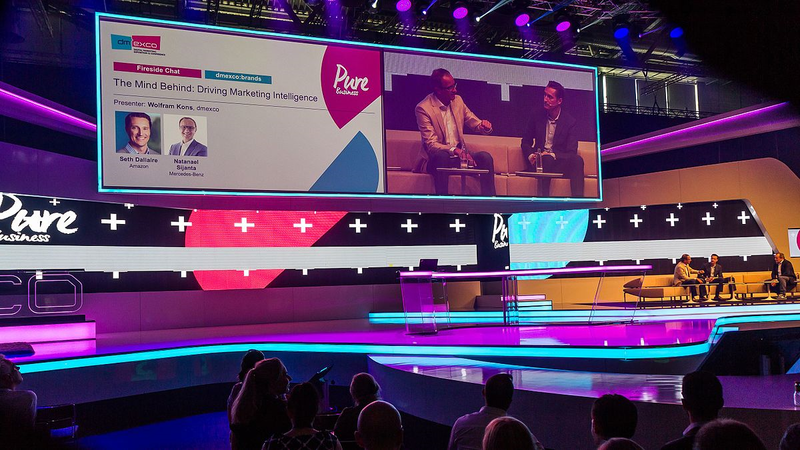 The digital marketing industry is counting down the days and gearing up for the 2017 dmexco conference, the must-attend event that features over 250 hours of talks and discussions, and more than 570 speakers. The MMA is proud to partner with the organizers of this high-caliber event and highlight some of the most outstanding sessions and speakers. True to the conference slogan “Lightening the Age of Transformation”, dmexco will be the scene of the action and the stage where many of today’s leading personalities and brands (as well as exciting newcomers and startups) will be presenting their take on key trends and issues. Little wonder the event attracts the world’s biggest advertisers, the most influential technology companies, the most exciting publishers, and the most innovative agencies. All will be on hand to present their innovations, strategies, and prospects for the coming months. You won’t want to miss the keynotes — which include Sheryl Sandberg (Facebook), Marc Pritchard (Procter & Gamble), Bob Lord (IBM), Bob Greenberg (R/GA), Neil Mohan (Google), Alison Lewis (Johnson & Johnson), Susan Schramm (McDonalds), Tim Kendall (Pinterest), Marc Mathieu (Samsung) and B. Bonin Bough. Christian Schmalzl (Ströer) and Matthias Schrader (Sinner Schrader) will discuss current challenges to future transformation management. In their “Visions of Leaders” panel Nigel Morris (Dentsu Aegis Network), Matt Lodder (R/GA), Mark Singer (Deloitte) and Caroline Foster Kenny (IPG Mediabrands) will explain how agencies must position themselves today to be successful in the future. In addition, Jack Dorsey (Twitter), Sabine Eckhardt (ProSieben), Sir Martin Sorrell (WPP), Martin Lütgenau (BurdaForward), Susanne Kunz (Unilever), Maike Abel (Nestlé), Florian Adamski (Omnicom Media Group), Mark Thompson (The New York Times), Philipp Welte (Burda), Martin Ott (Facebook), Rasmus Giese (UIM), Katja Reis (Zenith), Sascha Jansen (Omnicom Media Group) and Philipp Markmann (L’Oreal) will take a critical look at current digital developments. Shiseido’s CDO Alessio Rossi will discuss the growing importance of AI in marketing communication. Finally, Jon Suarez-Davis (Salesforce), Paul Papas (IBM iX), Howard Lermann (Yext), Frank Riemensperger (Accenture), Katharina Borchert (Mozilla), Philipp Justus (Google) and others will debate the role AI can play in marketing transformation. Stewart Copeland (founding member & drummer of “The Police”), Thomas Reiter (former astronaut & ESA coordinator) and David Meza (Chief Knowledge Architect at NASA) will dare to take a somewhat different approach to digital trends and creativity with extraordinary performances such to be a crowd-pleaser. From outsiders to superstars — social influencers have become key partners of the advertising industry. At dmexco, noted influencers and business insiders will explain what is required for successful influencer marketing. Speakers include Rachel Levin (RCL Beauty 101, 12 million followers on YouTube), Felix von der Laden (dner), Izad Reza (Studio71), Sir John Hegarty (BBH), Aline Santos Ferhat (Unilever), Marc Mathieu (Samsung), Philippe von Borries (refinery29), Verena Hubertz (kitchenstories), UK TV-Star Stevie Johnson (Open Influence) and Lindsay Kaplan (Casper). Under the headline “Connecting the World”, Dieter May (BMW), Rik van de Kooi (Microsoft) and others will show the potential for entirely new consumer experiences in a connected world. Beate Rosenthal (Merck), Andreas Heyden (Bundesliga / DFL Digital), Rosa Riera (Siemens) and others will take a close look at the new branding potentials provided by virtual reality. The new megatrend of voice control will be the focus of the “Voice Lab” with Dan Wright (Amazon), Shenda Loughnane (iprospect) and Adrian Cutler (Microsoft). The full 2017 dmexco conference program is now available at http://dmexco.com/conference_program/.